Cee-C has been selected as the new Head of House for Big Brother Naija 2018 week 12. Cee-C has replaced Nina who was chosen as this week’s Head of House earlier on today, Big Brother summoned all the remaining five housemates to the lounge and asked them to correct the mistake they had made. 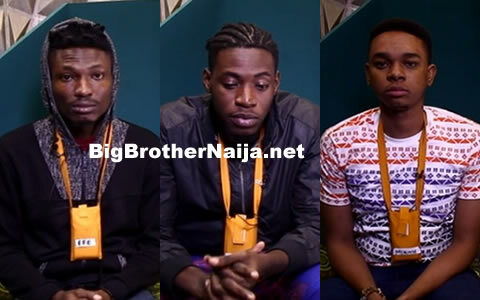 Biggie asked the housemates to nominate a new Head of House putting into consideration which housemate had been HoH the least number of times, however Alex insisted on nominating Tobi for Head of House even when the rest of the housemates were nominating Cee-C for HoH. Cee-C has not been Head of House before so obviously this was her opportunity to also taste leadership inside the Big Brother Naija house, and going with the majority rule, Cee-C was selected as this week Head of House. It seemed as though Alex was very bitter at this new development and we are still wondering were she’s actually finding the trouble if Cee-C is the Head of House. 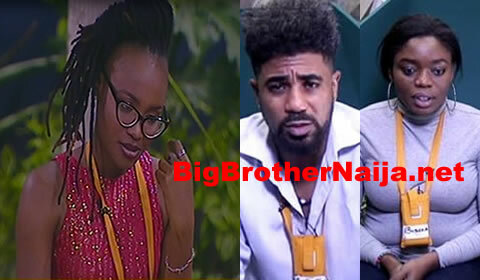 Please share with us your thoughts on why you think Alex might be so angry that Cee-C has been selected as the new Head of House. 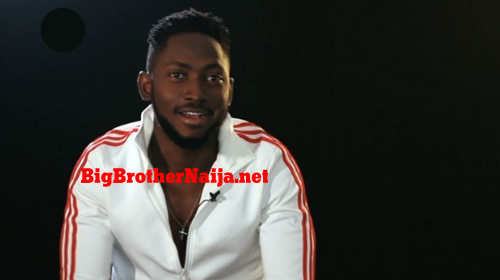 I'm still wondering why Alex is very jealous and bitter at Cee-C, this local girl should leave Cee-C alone. The thunder that is going to strike Alex is still doing push ups. Please all Cee-C fans don't rest a single bit, please keep voting for our queen and leave this Alex with her mental problems..
My beautiful King Cee-C 4 the money & yes, I wont rest! However, I would like us to leave out the other hhs when posting! Our focus should e Cee-C and Cee-C alone. Lets vote & God will do the rest! something tells me that all those supporting cee c are as cunning and wicked like her.even if she wins the prize money,what can the society learn from her apart from showing how troublesome,myopic reasoning,proud and domineering she can be to a man.thank GOD Tobi saw it and ran away for his dear life. @ANONYMOUS, let's see who is bitter now, you sitting behind a computer and doing the devils work, if you are not bitter why do you see people as wicked, We support her because we are so tired of people walking up and down on woman, if a man had Cee C's attitude, you guys would say He is a strong man now a woman is doing that She is evil "SEE DOUBLE STANDARDS"